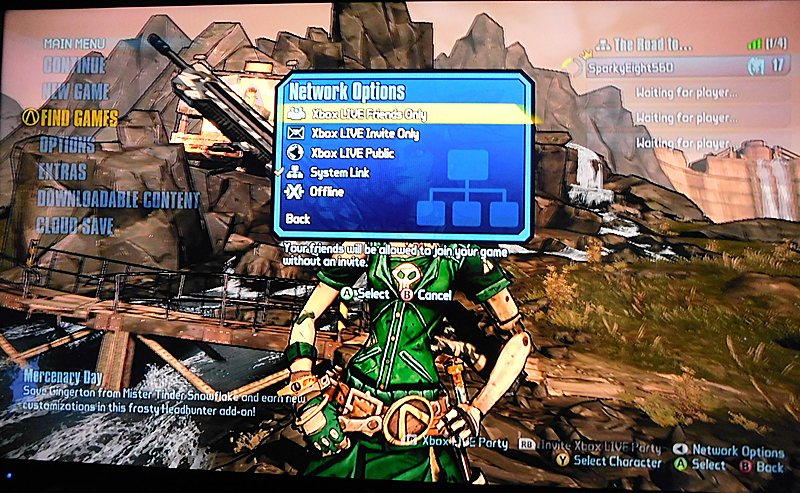 Borderlands 2 can be played offline by 2 players on 2 systems. It's a convoluted, complicated process to set up, but after you get it going, it's fun, easy, and well worth the initial aggravation. Here is a complete tutorial to make it a little easier. 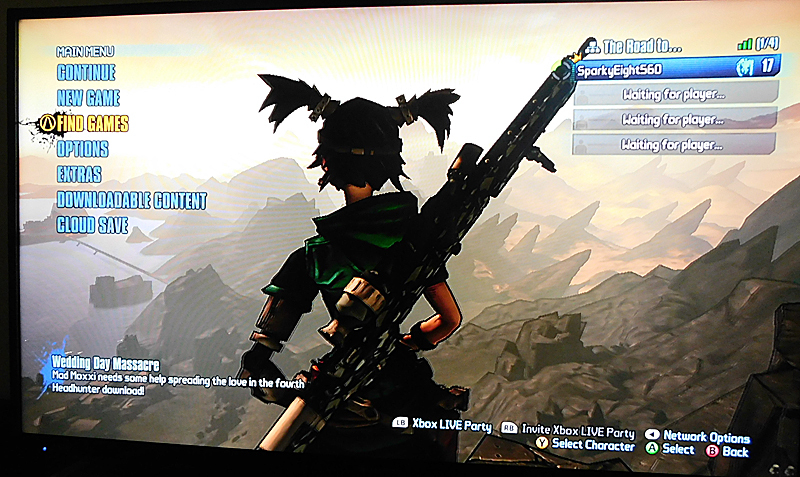 2 IDENTICAL Borderlands 2 games. THIS IS A REQUIREMENT TO MAKE SYSTEM LINK WORK. *It may be possible to connect and play with 3 or 4 players, but we haven't tried it, so we can't help with that. *For game play, you don't need an internet connection, but you will need it for game updates. It may be possible to play the game without them, but again, we can't help with that. We went online and updated our games before proceeding. Install the 2 XBox 360 consoles to the 2 TV sets. Connect the Ethernet cable to the 2 boxes. Install the Borderlands 2 games on both boxes. Go online and update both games. We are playing the "Game of the year" edition, so we installed the "Compatibility Pack" as well as all the add-ons. THIS IS THE FIRST PLACE WHERE THINGS CAN GO HORRIBLY WRONG. Updates and add-ons don't always install properly, and you may NOT see any error messages. The first 2 times we tried this, we thought all the updates, upgrades, and installs were done, but they weren't. We had to reinstall some components multiple times before achieving success. Finally, you're ready to begin! Each of you should start the game as a single user, create a character, get into the game, then save and quit. You should now be on the menu screen, with your new character visible in the upper right corner of the screen. The next step is for testing only. You aren't ready to play in system link, yet. In the bottom right corner, you'll see "Network Options." Push that button to bring up the following screen. System Link should have a checkmark beside it. THIS DOES NOT MEAN IT WORKS. Watching the left side of your screen, choose another option, like "Offline" then switch back to System Link. A short message will appear on the left, briefly. If you miss it, repeat this step until you can read the message. If it says your games are not compatible, you must go back and update, reinstall, etc. until you get rid of that message. What you should see is "Updating sesson, please wait." (The first time, it might say something a little different.) THIS STEP IS CRUCIAL. If you seen any kind of error in that box, you must fix it or you can't play in System Link mode. Once you get past this hurdle, you'r good to go. One of you sign in as a regular player, making sure the System Link box is checked. The 2nd player comes into the menu screen AFTER the first player is in the game. From the menu screen, THE 2ND PLAYER MUST CHOOSE THE "FIND GAMES" OPTION FROM THE MENU. If you choose "Continue" or "New Game" you will NOT be in System Link mode. 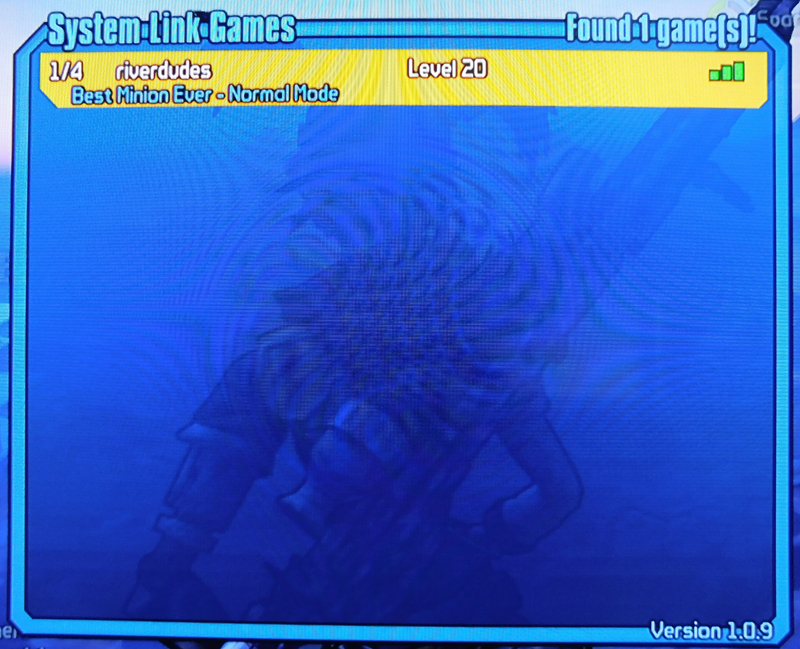 If you get a "no games found" message, it means the first player didn't go in with System Link. That person must try again. If all went well, you should see the other person's game listed. Click your green "A" button to accept, click it again to play, again to confirm, an YOU'RE PLAYING BORDERLANDS 2 IN SYSTEM LINK MODE! Whenever you want to play in System Link mode, you'll enter the game this way. Remember, the first one in determines the level of play. Have Fun! If you found this info helpful, please follow me on Twitter. If you have questions, tweet them to me. As long as @PlayShopAndSave is in the tweet, I'll get it.